Equipped with large storage capacity, plus the gorgeous screen with straightforward icons, the FingerTec® TA200 Plus W are excellent choice for your office’s time attendance system. The products offer convenience with multiple methods of verification, which include fingerprint, password and RFID card. In addition to that, the FingerTec® TA200 Plus W also have practical multimedia functions such as definition of work codes and short messages display for either personal or public recipients for effective staff communication. 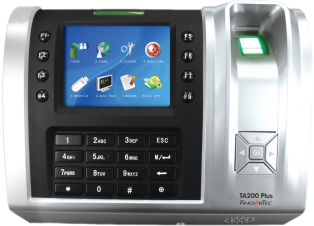 The FingerTec® TA200 Plus W provide feasibility on user enrollment, user transfer between readers, data transfer, and connectivity. To complete the system, the package comes readily available with bundled powerful TCMS V2 software, professionally written manuals in various languages for hardware and software, and clearly explained video guides as inclusive training on how to use the system. Look no more for time attendance and door access system, as the FingerTec® TA200 Plus W are offering the best available color fingerprint systems for your office’s requirements! The FingerTec® Q2i and TA200 Plus are astounding hi-tech time attendance and door access products, designed to impress with colored screen TFT display for vivid color presentation. Equipped with large storage capacity, plus the gorgeous screen with straightforward icons, the FingerTec® Q2i and TA200 Plus are excellent choice for your office’s time attendance & door access system. 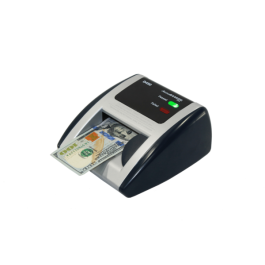 The products offer convenience with multiple methods of verification, which include fingerprint, password and RFID card. In addition to that, the FingerTec® Q2i and TA200 Plus also have practical multimedia functions such as definition of work codes and short messages display for either personal or public recipients for effective staff communication. The FingerTec® Q2i and TA200 Plus provide feasibility on user enrollment, user transfer between readers, data transfer, and connectivity. To complete the system, the package comes readily available with bundled powerful TCMS V2 software, professionally written manuals in various languages for hardware and software, and clearly explained video guides as inclusive training on how to use the system. Look no more for time attendance and door access system, as the FingerTec® Q2i and TA200 Plus are offering the best available color fingerprint systems for your office’s requirements!